The Miracle of Mindfulness is a classic guide to meditation that has introduced generations of readers to the life-changing beauty of mindful awareness. 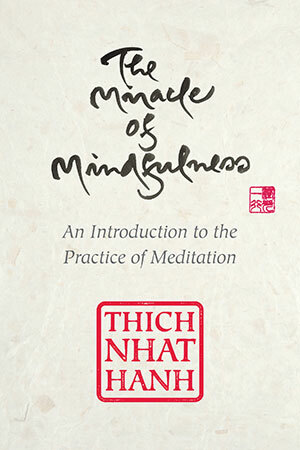 Zen Master Thich Nhat Hanh offers gentle anecdotes and practical exercise as a means of learning the skills of mindfulness. From washing the dishes to answering the phone to peeling an orange, he reminds us that each moment holds within it an opportunity to work toward greater self-understanding and peacefulness. This gift edition features Thich Nhat Hanh’s inspiring calligraphy, photographs from his travels around the world, and a revised afterword.